The PyroManiacs devote some space each weekend to highlights from the lifetime of works from the Prince of Preachers, Charles Haddon Spurgeon. The following excerpt is from The Cheque-book of the Bank of Faith, January 2, Pilgrim Publications. We are evidently to be conformed to our covenant Head, not only in his being bruised in his heel, but in his conquest of the evil one. Even under our feet is the old dragon to be bruised. The Roman believers were grieved with strife in the church; but their God was "the God of peace," and gave them rest of soul. The arch-enemy tripped up the feet of the unwary, and deceived the hearts of the simple; but he was to get the worst of it, and to be trodden down by those whom he had troubled. This victory would not come to the people of God through their own skill or power; but God himself would bruise Satan. Though it would be under their feet, yet the bruising would be of the Lord alone. Let us bravely tread upon the tempter! Not only inferior spirits, but the Prince of darkness himself must go down before us. In unquestioning confidence in God, let us look for speedy victory. "SHORTLY." Happy word! Shortly we shall set our foot on the old serpent! What a joy to crush evil! What dishonour to Satan to have his head bruised by human feet! Let us by faith in Jesus tread the tempter down. The PyroManiacs devote some space each weekend to highlights from the lifetime of works from the Prince of Preachers, Charles Haddon Spurgeon. The following excerpt is from The Metropolitan Tabernacle Pulpit, volume 51, sermon number 2,927, "Love at leisure." Let such words as these be upon your lip, “Lord, I am not worthy to be called by your grace. I am not worthy to be written in thy book of life. I am not worthy that thou shouldest waste a thought on me, much less that thou shouldest shed thy blood for me. I do remember now what I was when thou didst first deal with me. I was cold, careless and hard towards thee, but very wanton and eager towards the world, giving my heart away to a thousand lovers and seeking comfort anywhere except in thee. And when thou didst come to me, I did not receive thee. When thou didst knock at my door, I did not open to thee, though thy head was wet with dew and thy locks with the drops of the night. And, oh! since through thy grace I have admitted thee, and thou and I have been joined together in bonds of blessed union, yet how ill have I treated thee! O my Lord! How little have I done for thee! How little have I loved thee! I could faint in thy presence to think that if thou didst examine me and cross-question me, I could not answer thee one of a thousand questions thou mightest ask me. That is right, dear brother, or sister. Sink; go on sinking; be little; be less; be less still; be still less; be least of all; be nothing. The PyroManiacs devote some space each weekend to highlights from the lifetime of works from the Prince of Preachers, Charles Haddon Spurgeon. The following excerpt is from The Metropolitan Tabernacle Pulpit, volume 41, sermon number 2,432, "Kept from iniquity." "The tongue is a very sharp instrument, it cutteth like a razor, and pierceth even to the bones." It is, after all, of very small account what is said by men whose breath is in their nostrils. “They say. What do they say? Let them say.” Let them say till they have done saying; it little matters what they say. 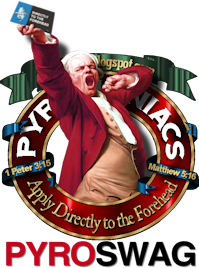 “gods many and lords many"
The PyroManiacs devote some space each weekend to highlights from the lifetime of works from the Prince of Preachers, Charles Haddon Spurgeon. The following excerpt is from The Metropolitan Tabernacle Pulpit, volume 30, sermon number 1,806, "A summary of experience and a body of divinity." "You must not be content with a reformation; there must be a revolution: old thrones must fall, and a new king must reign. Is it so with you?" Do you tell me that you have no idols? Think again, and you will not be quite so sure. The streets of London are full of fetich worship, and almost every dwelling is a joss-house crammed with idols. Why, multitudes of men are worshipping not calves of gold, but gold in a more portable shape. Small circular idols of gold and silver are much sought after. They are very devoutly worshipped by some, and great things are said concerning their power. I have heard the epithet of “almighty” ascribed to an American form of these idols. Those who do not worship gold may yet worship rank, name, pleasure, or honour. Most worship self, and I do not know that there is a more degrading form of worship than for a man to put himself on a pedestal and bow down thereto and worship it. You might just as well adore cats and crocodiles with the ancient Egyptians as pay your life’s homage to yourselves. No wooden image set up by the most savage tribe can be more ugly or degrading than our idol when we adore ourselves. Men worship Bacchus still. Do not tell me they do not: why, there is a temple to him at every street corner. While every other trade is content with a shop or a warehouse, this fiend has his palaces, in which plentiful libations are poured forth in his honour. The gods of unchastity and vice are yet among us. It would be a shame even to speak of the things which are done of them in secret. The lusts of the flesh are served even by many who would not like to have it known. We have gods many and lords many in this land. God grant that we may see, through the preaching of the gospel, many turning from such idols. If you love anything better than God, you are idolaters: if there is anything you would not give up for God it is your idol: if there is anything that you seek with greater fervour than you seek the glory of God, that is your idol, and conversion means a turning from every idol. The PyroManiacs devote some space each weekend to highlights from the lifetime of works from the Prince of Preachers, Charles Haddon Spurgeon. The following excerpt is from The Metropolitan Tabernacle Pulpit, volume 20, sermon number 1,175, "Stephen's death." "It is of the greatest service to us all to be reminded that our life is but a vapour, which appeareth for a little while, and then vanisheth away." 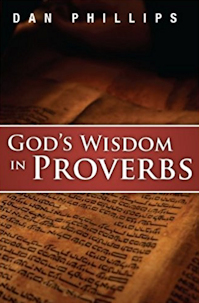 Through forgetfulness of this worldlings live at ease, and Christians walk carelessly. 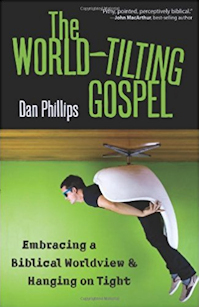 Unless we watch for the Lord’s coming, worldliness soon eats into our spirit as doth a canker. If thou hast this world’s riches, believer, remember that this is not thy rest, and set not too great a store by its comforts. If, on the other hand, thou dwellest in straitness, and art burdened with poverty, be not too much depressed thereby, for these light afflictions are but for a moment, and are not worthy to be compared with the glory which shall be revealed in us. Look upon the things that are as though they were not. Remember you are a part of a great procession which is always moving by; others come and go before your own eyes, you see them, and they disappear, and you yourself are moving onward to another and more real world. “'Tis is greatly wise to talk with our last hours,” to give a rehearsal of our departure, and to be prepared to stand before the great tribunal of the judgment. 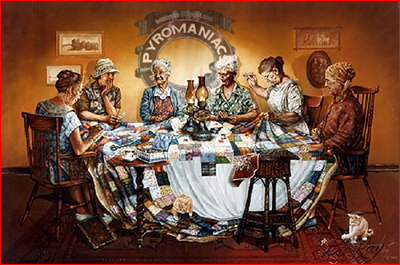 Our duty is to trim our lamps against the time when the Bridegroom comes; we are called upon to stand always ready, waiting for the appearing of our Lord and Saviour, Jesus Christ, or else for the summons which shall tell us that the pitcher is broken at the fountain, and the wheel broken at the cistern, that the body must return to the earth as it was, and the spirit unto God who gave it. 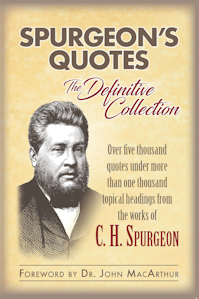 “Thou wilt prepare their heart"
The PyroManiacs devote some space each weekend to highlights from the lifetime of works from the Prince of Preachers, Charles Haddon Spurgeon. The following excerpt is from The Metropolitan Tabernacle Pulpit, volume 40, sermon number 2,342, "A New Year's retrospect and prospect." "All gets right when the heart is right." This year, dear brethren, we shall need heart-preparation for the many duties we shall have to perform for God. Look forward to them with trust in God. Well then, God will prepare our hearts for it. “Thou wilt prepare their heart.” I like to think that nothing shall come for me to do but God will fit me for it. I may be called to work that I have never attempted before; if so, I shall have grace given which I never had before. You may change your condition of life this year, my dear friend, but you shall be prepared for that change. You may have to emigrate to the other side of the world and find fresh duties awaiting you there; but you shall be prepared for your new sphere of service. You may be called from being a servant to be a master, or you may have to come down in the world, and from being a master, you may have to become a servant; yet, whatever God shall put before you to do, he will prepare your heart for it. Only plead this declaration in prayer, and you may expect to have it fulfilled. Before you get too worked up, this is not a suicide note. What this post ought to be seen as is an end to my hiatus as it gives way to retirement. It has gone through a couple of drafts. I hope it says only what I mean to say and not everything that I really want to say. In the 15-ish years I have been on the internet, I have been accused of a lot of things. Most of the time, it has been by people who did not read what I wrote. That's just how things go, and the ignorance of other people should never stop a person from doing something worthwhile. The problem I am having at this point in my hobby-on-hiatus is that as I look at many (most) of the people who were inspired by the work done by this blog and some of my other blogs, those people are terrible. From my perspective, however, this problem has not gotten better with age: it has gotten worse. There's a hard way to see if something can be done about this, and an easy way. That path would mean showing the problem and offering the solution (if there is one) to people who don't know the difference between discernment/apologetics and rumor-mongering/slander (the biblical category, not the legal charge). It would require a staff and donors because it would also require me to do this full-time and not merely when things sort of wander into my field of vision. The hard way to confront that sort of thing looks easy, but takes more commitment to what is actually right and actually good than creating yet another parachurch organization which damages the local church and causes those who say they have faith in Jesus Christ to develop a skeptical and jaundiced view of how a church in real life works. That hard way is to stop calling what I am doing here a "hiatus" and to start calling it a permanent protest retirement. That path means that I have some other things that need to be said clearly, and then I need to say no more. Way far north of 95% of Christian blogging is really just exhibitionism, either exposing one's own poor judgment and thinking or exposing others faults (usually both) for the sake of gaining attention for one's self. I think unintentionally, I have done this. I repent of ever doing that, and I repudiate everyone who is blogging for the sake of exposing himself or herself to gain an audience. 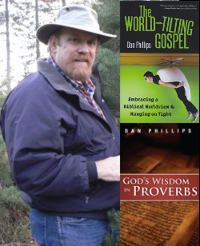 If you think that's only people with modest-sized blogs, or people on the fringes, you aren't reading the big blogs with any kind of wisdom or insight, or tracking how many people in Christian circles are getting famous from blogging rather than from having actual accomplishments or a decent faith and a world-tilting local church. I repent of ever, at any time, causing anyone else to fall into that trap. If my example caused you to blog, you are doing it wrong. You are responsible for you, but I am responsible for doing something which caused you to do wrong. I repudiate it, and I ask you to do the same. I repent of causing anyone who was otherwise a quiet and private person to get the attention of the internet lynch mob. I am sorry that I caused anyone to look for your name because you got 0.0001% famous by being associated with me (someone who is 0.001% famous) and because they looked for you, they made your life miserable. I repudiate anything which caused you to live in violation of 1 Thes 4, and I confess and repudiate that I ever violated it myself. For anyone who wants to hypothesize why I would say that specifically, two notes:  You are definitely part of the problem;  Every single one of my internet friends has suffered because they have allowed themselves to be associated with me simply because they are human beings who are not even remotely perfect. And yes: recent events in one of their lives is particularly on my mind in saying this. It is not because someone is guilty or innocent, but the exhibitionistic hobby of some is causing his family amplified pain and shame, and God will judge the ones doing it that for it. The only reason those people are seeking out anyone is that a person knows someone allegedly-famous and therefore they think this person is "famous" or "well-known." That perverse definition of "well-known" in itself proves you-plural who are doing this are ineffable idiots, but saying more than that will not cure you-plural of it. I am deeply ashamed that my bush-league notoriety has caused anyone to make bad things worse, and I repent of my part in drawing your attention to people who just wanted to laugh at my comic book clip art. A corollary to this apology and retraction is this: if you are using the internet to talk to people who do not know you and cannot know you, you are doing some of the things I did, and you probably do not understand the consequences. I didn't. The first consequence seems really obvious to me now: you are kidding yourself about your level of influence. I would argue that you are actually reaching fewer people and ministering to fewer people by never actually being anywhere long enough to do something "like ministry" than you would be if you belonged to a local IBF church with 25 members who meet in a wooden shack with no modern amenities. The justification, "if I can just save one person ..." doesn't work in its gun-control incarnation, or in its justification of abortion, or any other bad idea. It certainly doesn't work for someone who claims that the Bible is his or her highest source of authority. The Bible never asks anyone to be a mostly-faceless, mostly-nameless shill for his own unregulated opinions -- and this a second corollary to my apology and retraction: in all seriousness, nobody is holding you accountable for your actions, and you are harming the spiritual well-being of those you are seeking to influence by proliferating a system in which there is no accountability. You are making the local church into nothing, and that should bother you. I apologize to everyone and anyone who ever used my blogging as a substitute for having a local church, and loving real people, and being under the authority of elders and men of good faith who are in it for your good and God's glory. I was wrong to put myself in that place, and I was wrong to let you think it was ever a good idea. I repent of exhibitionism. I repent of leading others to it. I repent of demonstrating the lack of accountability which exhibitionists acquire and which leads themselves and others astray. I repent of giving that example to other and that they followed it. These things have helped create a vile culture of people who use the internet for things Christ would abhor. I underlined this problem in an open letter to James White a few years ago (link). Another way to see it is what we think we object to. We get all worked up about Creflo Dollar buying a big airplane. We ignore the dollars spent on carting around all the names on the A-List, B-List, D-List and so on down to whatever Z-list it is people have looked down to in order to find my name, as if those dollars are justified (when they are probably higher than the bank note of Creflo's airplane). We think our version of whatever is happening here in "our part" of the internet is good and godly because we agree with it. Then we forget that while Paul wrote letters, he didn't publish books: he lived next to people and worked with his hands for his own support so that he could gain the good reputation that he wasn't teaching them for the money. We forget that our exposition of God's word is not nearly as valuable as God's actual word, and God's actual commandments which we would keep if we loved him. I repent of every time I did anything which made me part of that high-flying set of exhibitionists, and I repent of ever thinking it was good for me or for others. I repudiate the lot of it, and I urge you to stop paying people to come and tell you things you the Bible does a better job of telling you already. That's plenty to say by way of apology and retraction. There are a few other things which ought to be said by way of thanks in spite of what has been wrought here. The first thing is to thank everyone who ever tried to see this a different way than I have confessed here and tried to use it for actual-good and not self-aggrandizement. There are many of you. In the times when something I wrote here or elsewhere for reasons I didn't fully understand as sinful and God used it for your good anyway, there is proof enough for me that God is good and not merely greedy for justice and making the scales even. He used my crooked and wretched stick to draw a straight line more than once. The times I followed a path created by people who wanted to be famous and rich and God allowed what I wrote to make you more like him rather than Him treating me like Demas -- which I would have deserved -- is evidence that God's grace is greater than human words can rightly grade or explain. 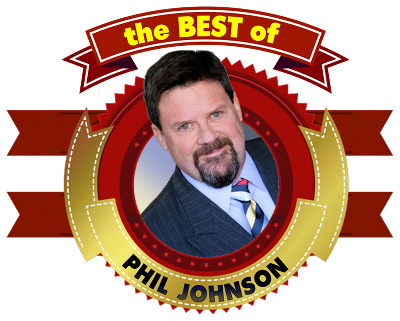 Thanks to Phil Johnson, who doesn't believe any of things I have written in this post, and isn't seeking his own fame. If he could have his own way, he'd be a one-eyed hermit casting a monocular gaze over his own back 40. His goal has always been that people hear the word of God as preached by his pastor. Those of you who do not know him cannot know how pure his heart is toward God's people and God's word. You cannot know how deeply he wants people to see and to serve the savior of the world. His intentions here have always been pure even when mine were not, and I think his ministry to archive and present the teaching of his local pastor to anyone who needs them far exceeds the teaching of the Pharisees who run Christian publishing and Christian media. He and his family have always been my friends, and I thank him for his generosity to make anything good that has come of this possible. I also thank him for the PoMotivators. Thanks to Dan Phillips, who also has always come at this thing with a pure heart in spite of the accusations and hard judgments of those who, frankly, could have done better by him but didn't because they didn't like him. Their pettiness is a judgment on them, and it will be something they will answer to Christ for. Dan, too, has always been my friend and a teller of truth to me, and he also does not see this endeavor the way I do now. Undoubtedly, this post about the pitfalls of people being and doing what we have been and done over the years was formative in helping me see what is wrong with "internet ministry." My hope is that he will find the fruit in his ministry that he is looking for, and that people will not just hear him preach the word of God, but that they will do what he tells them it says to do. Thanks also to everyone who would own the nickname "side-kick," because there are far too many of you to name, and I would be afraid to miss any of you. You have been the only other reason this has not been a terrible experience. Some will say I should call you out for enabling me; I call you out for seeing that even in my worst moments, there was a seed in all of it meant to bring joy and good humor to the problem of being all too human in a world which needs Jesus Christ. I don't blame you for my poor judgment and my poor character and weakness. I hope that my faults will not take root in you, and that you will forgive me if they already have. To the rest of you, good luck. God bless you. For the things you ought to repent of, repent immediately, as soon as possible. For the things God really wants you to do, do them with gusto -- and remember that if what you think "God really wants you to do" is make what God has already said in his Word look somehow phony, old-fashioned, or powerless, you are doing it wrong. So what's left for me to do at this point is close up shop. The content here has been and always will be under Phil's purview, and if he would keep it as-is, I trust his judgment. I'll be archiving all the other blogs under my name and closing them in the next 60 days; I'll be shuttering Twitter; If I do not know you personally, I will be unfriending you on Facebook (a process I have been working on since August). I want you to forget me if that is possible, and if it is not, I ask that you forgive me and let me be at peace as I will seek to make amends by turning my back on any attention not related to people I see every day and places I go every day. The rest of it is just bound to harm people who do not deserve it. God bless you all. Be in the Lord's House with the Lord's People on every Lord's Day, and do your part to keep the internet barn door closed.